As synthetic diamond manufacturers, our synthetic grit solutions include a Drilling series, a Sawing series and a Grinding series as well as Lapping and Polishing powders. The Drill Grit Series consists of three product grades in coarse sizes designed to survive high sintering temperatures and long sintering cycles and provide high penetration rates in the hardest formations. 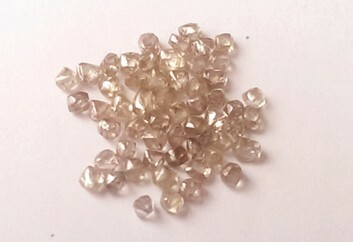 Available in sieve sizes and stones per carat. Both T and TiC coatings available as standard. The Shannon Abrasives Sawing Grit Series consists of eight product grades in sizes 25/35 US mesh to 60/80 US mesh, providing a full suite of solutions for a complete range of sawing and coring applications in Stone and Construction. The many uses include cutting and coring of steel reinforced concrete, slabbing of marble and granite blocks to the surface planing and preparation of concrete and stone materials. SASG 95 – Ultra high-strength, high-thermal stability for the most demanding applications and aggressive sintering regimes in complex bond systems. SASG 90 – High-strength, high-thermal stability for demanding applications and cobalt or iron-based bond systems. SASG 85 – High-strength, moderate-thermal stability for class 3 and 4 granites and non-reinforced concrete products for cobalt and bronze-based bond systems. SASG 80 – Moderate-strength, moderate-thermal stability for class 4 granite and non-reinforced concrete products for cobalt and bronze-based bond systems. SASG 70 – Moderate-strength, moderate-thermal stability for marble class 5 granites and non-reinforced concrete materials. SASG 60 – Medium-strength, medium-thermal stability suitable for low-temperature bond systems and processing of marble and aggregate concrete materials. SASG 50 – Medium-strength, low-thermal stability for low-temperature bond systems including electroplating for the processing of a range of materials from marble to sandstone and low-aggregate concretes. SASG 40 – Low-strength, low-thermal stability suitable for low-temperature bonds including electroplating and the processing of a range of friable stone and concrete materials with low-power tools. All grades available in sizes 25/35 to 70/80 US mesh. Single sizes also available on request. Our Grinding Series consists of three metal bond product grades in sizes 60/70 US mesh to 325/400 US mesh. These three grades provide a choice of strength from high-strength, high-thermally stable material suitable for the most demanding applications to low-strength friable material for stone and concrete polishing. These solutions can be used in a wide range of material processing applications in sintered and electroplated tools from glass grinding to surface calibration of stone, precision grinding of ceramics and cutting and lapping of silicon wafers. SAGG 95 – Ultra high-strength, high-thermal stability for the most demanding applications and aggressive sintering regimes in complex metal bond systems. SAGG 80 – Medium-strength, high-thermal stability for demanding applications and high-productivity tools. SAGG 50 – Low-strength, moderate-thermal stability for surfacing and polishing applications. All grades available in sizes 60/70 to 325/400 US mesh. 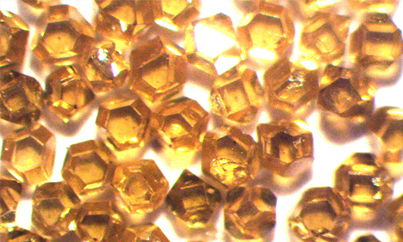 Synthetic micron diamond grit is available in a full range of sizes from 0-0.05 microns to 30-40 microns. This product is suitable for the surface engineering of the toughest materials in the lapping and polishing of a wide range of materials including ceramics, stone, metals, natural diamond, polycrystalline diamond and composite materials. Please don’t hesitate to contact us if you have any specific requirements for synthetic diamond and we will help with your enquiry.